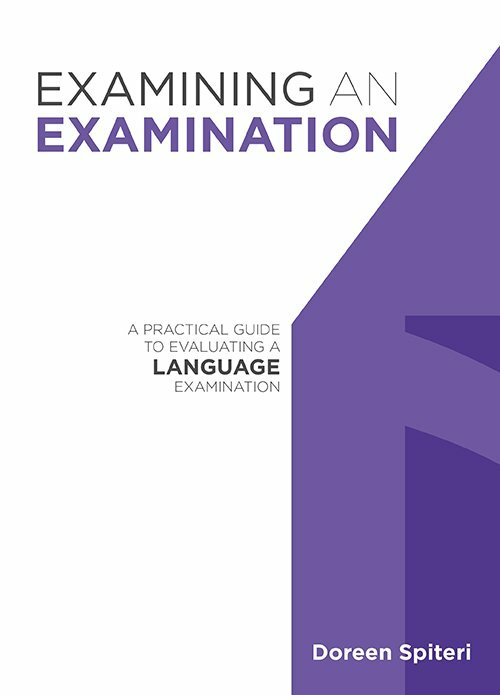 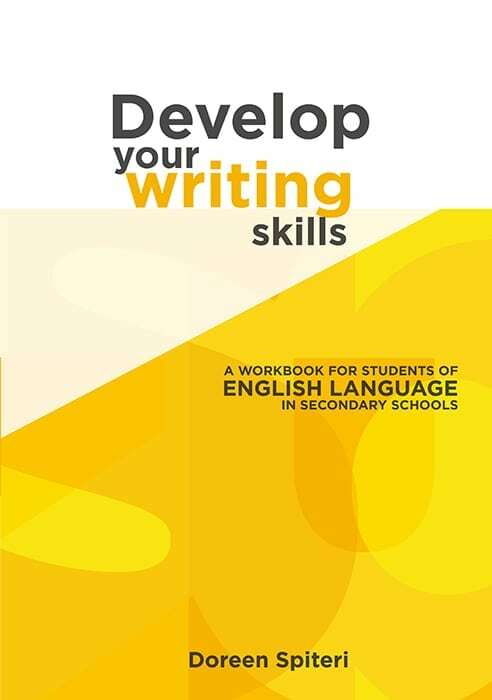 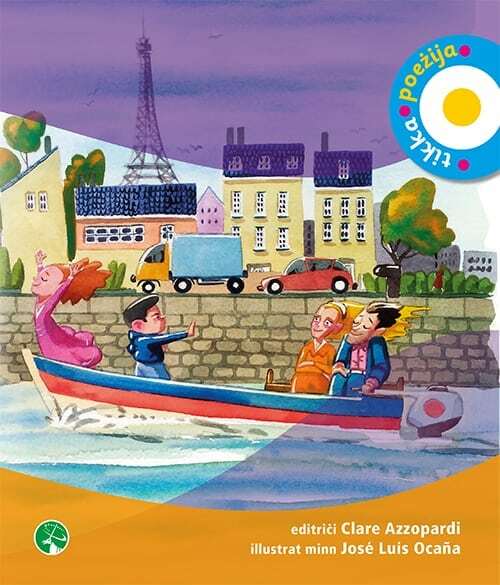 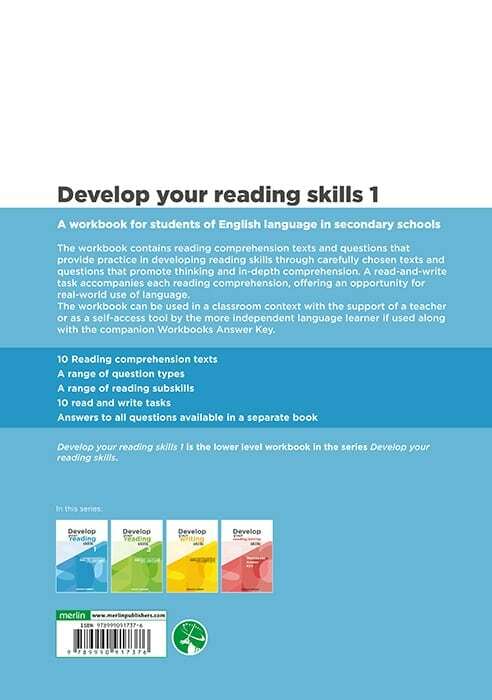 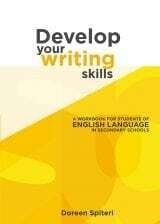 A workbook for students of English Language in secondary schools The workbook contains reading comprehension texts and questions that provide practice in developing reading skills through carefully chosen texts and questions that promote thinking and in-depth comprehension. 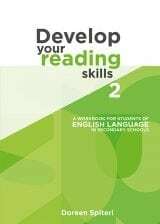 A read-and-write task accompanies each reading comprehension, offering an opportunity for real-world use of language. 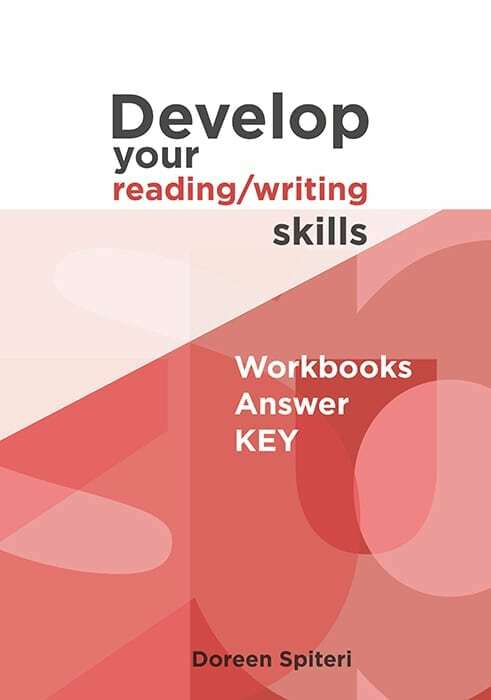 The workbook can be used in a classroom context with the support of a teacher or as a self-access tool by the more independent language learner if used along with the companion Workbooks Answer Key. 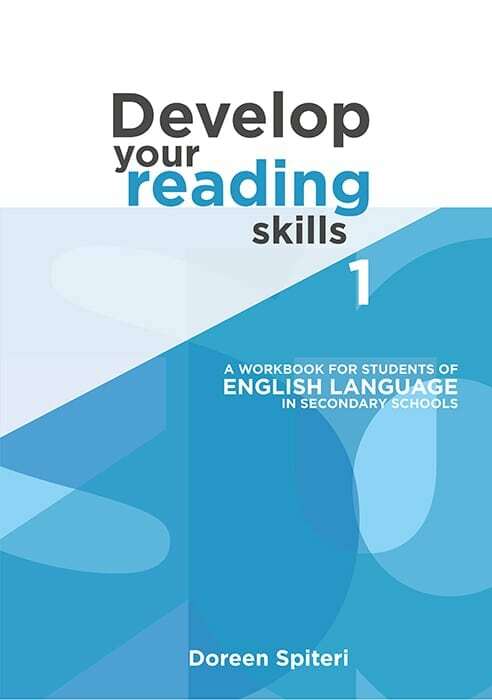 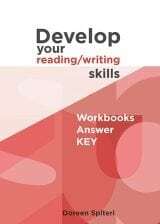 10 Reading comprehension texts A range of question types A range of reading subskills 10 read and write tasks Answers to all questions available in a separate book Develop your reading skills 1 is the lower level workbook in the series Develop your reading skills. 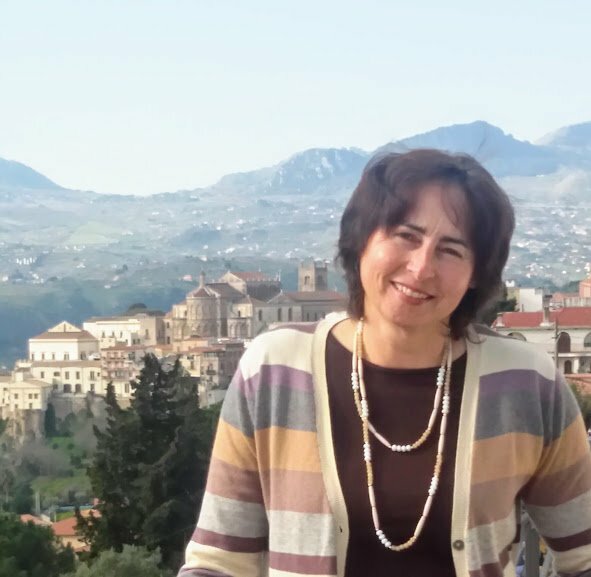 Doreen Spiteri is interested in rambling, architecture and travelling when not heading the Department of Languages and Humanities in the Faculty of Education. 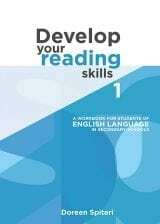 A lifelong teacher of English at all levels both locally and abroad, she is focused on teacher education and in particular language teaching and testing.